Woncheuk (613-696) was a Korean Buddhist monk, also known as Ximing fashi (西明法師) after the name of the temple where he did his most important work. Originally from Korea, he lived at Ximing Temple and studied at the beginning of the Tang Dynasty with the great translator and exponent of Yogacara, Xuanzang. 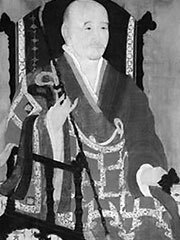 Under Xuanzang’s influence, he specialized in the study of Consciousness-only (often differing from the viewpoint of Kuiji), but also studied and wrote commentaries on a broad spectrum of early Indian and Mahāyāna texts. He worked until his death in China, passing away in a monastery in Loyang. He is well-known among scholars of Tibetan Buddhism for his Commentary on the Saṃdhinirmocana-sūtra.